“Man In The Mirror” reached #1 on the Billboard charts upon its release as the fourth single from the ‘Bad’ album on January 9th, 1988. Penned by Glen Ballard and Siedah Garrett, it is one of two songs on the album which were not written by Michael Jackson. 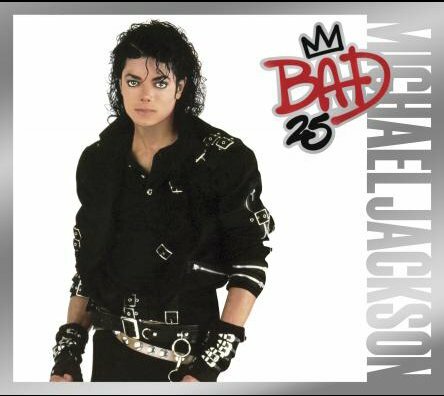 Engineer Bruce Swedien: “As far as I’m concerned, the song ‘Man In The Mirror’ is the centerpiece, musically speaking, of the Michael Jackson album ‘Bad’”. “Man In The Mirror” was released as a CD single on January 9th, 1988 on Epic Records. The CD single includes the “Single Mix” (4:55) the “Album Mix” (5:17), and the “Instrumental Version” (4:55). “Man In The Mirror” was released as a 7” single on January 9th, 1988 on Epic Records. The 7″ single includes the “Single Mix” (4:55) on the ‘A’-side, and the “Instrumental Version” (4:55) on the ‘B’-side. “Man In The Mirror” was released as a 7″ promo single on January 9th, 1988 on Epic Records. The promo single includes “Man In The Mirror” (4:55) on the ‘A’-side, and “Man In The Mirror – Instrumental” (4:55) on the ‘B’-side. You’ve gotta stop it. Yourself! Gonna make that change…come on! “Man In The Mirror” - written and composed by Siedah Garrett and Glen Ballard. Featuring Siedah Garrett, The Winans and The Andrae Crouch Choir. Glen Ballard, Randy Kerber: Synthesizers. The Winans: Carvin, Marvin, Michael and Ronald Winans. Andrae Crouch and The Andrae Crouch Choir: Sandra Crouch, Maxi Anderson, Rose Banks, Geary Faggett, Vonciele Faggett, Andrew Gouché, Linda Green, Francine Howard, Jean Johnson, Perry Morgan, Alfie Silas. Rhythm arrangement by Glen Ballard and Quincy Jones. Synthesizer arrangement by Glen Ballard, Quincy Jones and Jerry Hey. Vocal arrangement by Andrae Crouch.